The 2013 Breaks production, The Woodcutter, directed by Tommy McSweeney and produced by Kieran Cato, screened this month on ABC2's First Date, Worst Date short series and can currently be seen on ABC iview. Screen Producers Australia announced that “Australian screen producers have called on the ABC to quarantine expenditure on television drama and children’s television programming, regardless of any funding cuts to the ABC in the upcoming May Federal Budget.” Read more….. The Inaugural Village Roadshow Entertainment Group/Animal Logic Entertainment Fellowship is open to undergraduate and recent graduate students. Applications open: March 31 - May 31. The 3 month program includes 3 days a week at Village Roadshow Pictures’ office in Los Angeles and 2 days at Animal Logic’s office in Burbank. Metro Screen recently conducted an intensive 2 week workshop in Dubbo for burgeoning documentary makers. Under the instruction of Andrew Barnes, from Geagle Productions, participants learnt the fundamentals of documentary filmmaking from sound, lighting and camera through to conducting interviews, producing, directing and post-production. With the support of City of Sydney and Screen NSW, the Lord Mayor Clover Moore officially launched the Film Festivals Australia program and online calendar at Paddington Reservoir in Sydney on Thursday 3 April 2014. 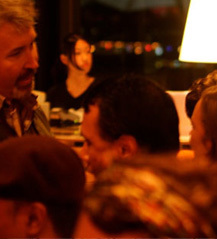 Watch the video of the the Film Festivals Australia Launch event. Are you a producer looking to change the industry? If you are interested in learning more about the behind the scenes mechanics of our industry and how you can be involved then join us for this important briefing session with Screen Produces Australia. Wednesday 30 April, free entry, book now. Jobs in Post Production are a growth segment of the screen industry. Metro Screen offers a skills driven learning pathway to provide you with the core practical knowledge to embark on a career in Post Production. Our two courses, The Post Production Supervisor and Introduction to AVID Editing, will give you both an overview of Post Production and knowledge of the industry standard editing program, AVID. If you want to take your career in this direction we are offering a discounted bundle for these two courses, please email Peter Ireland on p.ireland@metroscreen.org.au for further information. The Post Production Supervisor Closing soon! A film, television show, or any screen content is only ready for audiences when it has completed post production, incorporating the picture edit, visual effects, colour grade and sound work. 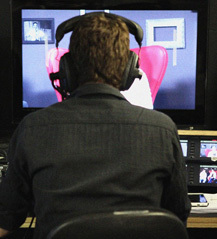 Learn how to be the expert guide through the post production path. Course runs from Sat 17 May 9:15am to Sat 31 May 4:15pm. Good Editors are in demand, Beyond Productions is currently seeking an experienced Avid edit assistant. AVID Media Composer is the preferred software of many professional editors, especially in television. Courses run on weekends from Sat 17 May 9:30am to Sun 25 May 4:30pm and again later this year. With the recent production of the documentary Skimpy by Humming Tree Productions, our upgraded edit suite has become a digital Post Production facility approved by Screen Australia. The post production team spent the last 6 weeks editing the documentary at Metro Screen on the NEW MAC PRO 2014. Boasting a 3.0GHz 8-core processor with 64GB of RAM, a Dual AMD FirePro D700 GPUs with 6GB of GDDR5 VRAM each and a 8TB PEGASUS 2 Thunderbolt RAID, it is now lighting fast to edit on Final Cut Pro Studio 2, AVID Media Composer and Adobe CC. The Seymour Centre has launched New Wave: Sound, as part of Vivid Sydney, including The Adventures of Prince Achmed a cutting-edge work of New Music - fun for everyone! 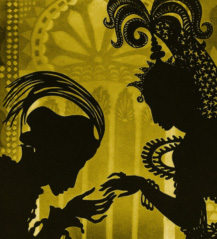 To WIN one of four double passes to see The Adventures of Prince Achmed on Saturday 7 June at 5pm, email melindam@seymour.sydney.edu.au with “Prince Achmed Metroscreen” in the subject line. DLUX Media Arts – Is This Art?